How can you help preschoolers with autism thrive in inclusive classrooms? Support their success with this comprehensive, school-based program for children ages 3 to 5 with autism spectrum disorder. Blending best practices from applied behavior analysis and early childhood special education, the DATA Model is a proven program rooted in evidence-based practice and based on 20 years of testing and refinement. First, you&apos;ll assess children&apos;s functional needs with the DATA Model Skills Checklist; then you&apos;ll use more than 140 instructional programming sheets and lesson plans to increase children&apos;s developmental progress in the areas identified with the checklist. This linked system helps you pinpoint learning goals for children, promote their progress through tailored interventions, and support children in generalizing new skills and behaviors across settings. A must for autism and behavior specialists, SLPs, program directors, and early childhood special educators, the DATA Model is the all-in-one program you need to prepare young children with autism for long-term success at school and in their community. PRACTICAL MATERIALS: Skills Checklist, 140+ instructional programming sheets and lesson plans, sample schedules, daily data collection sheets, Family Interview Survey, and more. All materials are photocopiable from the manual. Learn more about The DATA Model here. "The DATA Model for Teaching Preschooler with Autism presents a clearly presented manual for a comprehensive intervention program for young children with ASD that draws on a range of evidence-based practices and addresses the full range of critical areas that need to be targeted for intervention in this population. It will make a valuable contribution to the relatively small literature of manualized comprehensive interventions aimed to improving the lives of children with autism and their families." "I found The DATA Model to be comprehensive, socially valid, and easy to read. 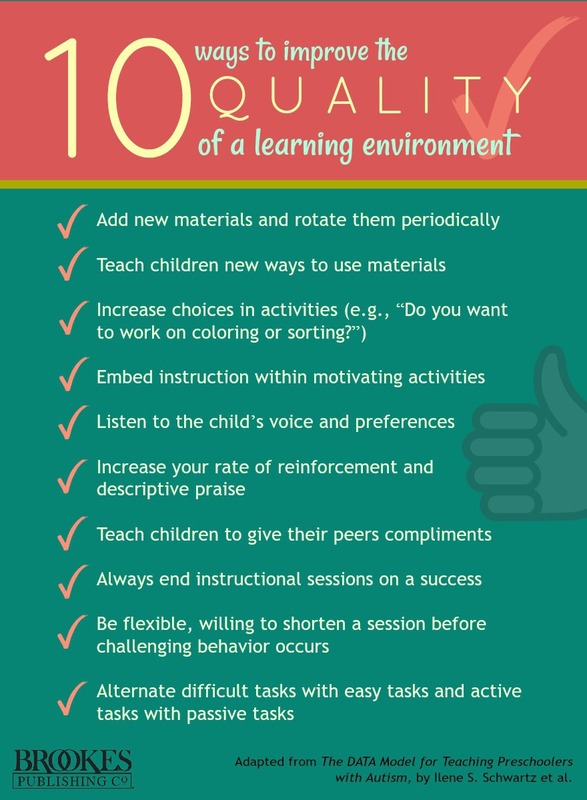 Further, the strategies outlined are feasible and exactly what is needed to support the high fidelity implementation of effective instruction by early childhood teachers in inclusive early childhood settings."